As health is concerned with all aspects of human life, in a developing country like India plans for improvement of health services to ensure maintenance of health of the population should be an integral part of the total and overall development program. Modern public health measures are facing a difficult situation because of population growth. In regard to population structure, 2 age groups have been a concern of the health services, namely those 0-15 years and those 65 and older. The child's group constituted 42-44% of the total population, now reduced to 38.2% in 1982 and is a heavy dependent group particularly if another contingent of 20.4% in the 15-24 age group and requiring education is added. With an increasing life expectancy, there is now more than a 6% accumulation of aged persons in need of support. The Indian Council of Medical Research has established a National Institute of Nutrition and a Food and Drug Technology Center at Hyderabad, both of which have been doing useful work on nutrition and food technology. 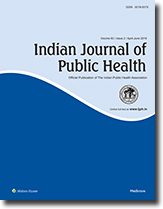 Both the history of public health during the last 100 years and all recent studies and observations amply demonstrate the dominant role played by the environment in the development of physical health and well-being of individuals and the community. The majority of iillnesses in a rural setting arise from 3 situations--pollution of water, soil, and air. A serious consequence of uncontrolled use of insecticides has been the health problems arising out of their toxic effects on persons handling them and on the people consuming contaminated foodstuff. Another effect on the health services is the increasing conversion of the vector insects to resistant form. In the field of communicable diseases the problems are vast and varied in India. For tackling all diseases a need exists for training courses to produce field epidemiologists. Among the noncommunicable diseases there is a definite rising trend in cancer, coronary heart disease, hypertension, diabetes, mental disorders, peptic ulcer, allergic disorders, rheumatic conditions, lung cancer, and leukemia. Another cause of morbidity and mortality which are assuming serious proportions is accident and deaths due to violence. India has undertaken to expand maternal and child health services and to establish new services where none exist. Every state has established a Family Planning Training Institute and created clinics throughout. Knowledge about the mental health conditions in India is generally poor as few surveys have been carried out to collect the information. Following the 2nd 5-year plan, industries are being rapidly developed in the country both in public and private sectors. Most of the problems can be solved to a great extent by mobilizing all medical and health personnel and services into 1 integrated service, but it is not considered feasible at this time. A concerted effort to rethink and reorganize present health services is required.